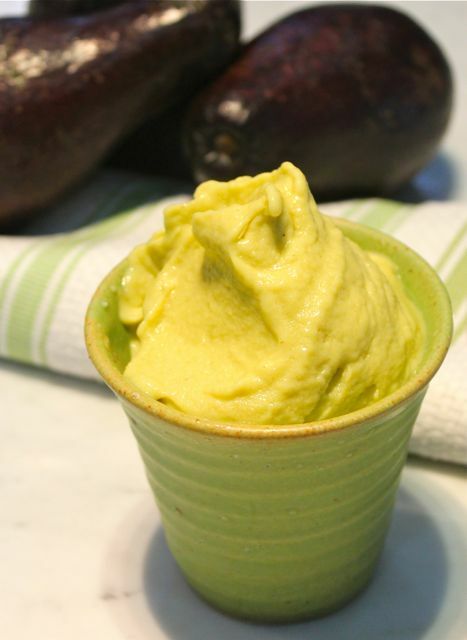 Homemade avocado ice cream is hard to beat! Nothing but churned perfectly ripe fruit, cream and sugar. It is opulently rich in a healthy kind of way. A couple of weeks ago, on our way to the beach, we hit a mother load of what can only be described as fantastic local avocados. At PHP40 a kilo, they were a steal. More often than not, you get some stringy, less than ideal fruit, but these ones were amazing. 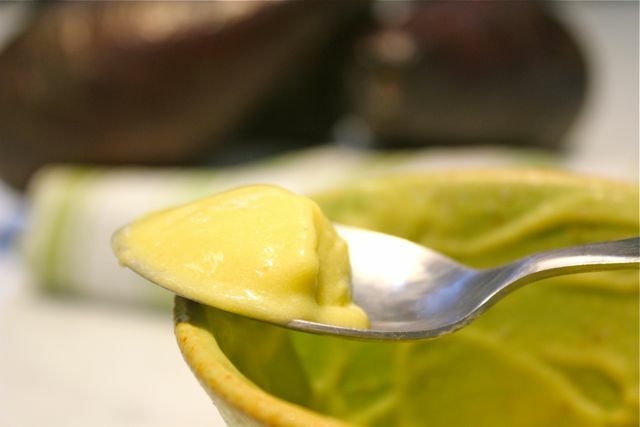 Creamy, flavorful and on the sweet side, they were thrown into salads, made into guacamole and of course, that annual batch or two of ice cream. I didn’t even use a recipe. Just chilled the ripe avocadoes and took out the pulp. Added superfine sugar and some very good cream (in this case 60% fat that I diluted with milk to get roughly 40% fat cream) and blitzed this in the blender. Taste before you proceed. It should be a tad sweeter than you think, as the freezing process will mask some of the sweetness. If you want to brighten the flavors a bit, a little squeeze of lime or lemon would be good too. Place this mixture into your ice cream machine, and use according to the manufacturers instructions. I have practically given up on almost all (tried at least 5 different kinds) of the smaller, counter top ice cream machines which don’t seem to be able to handle the tropical heat and I now ONLY rely on our trusty, nearly 15 year old white mountain ice cream maker that relies on ice and salt to do the job. Try making banana ice cream my way (shortcut too). You just need frozen peeled bananas, then throw it in the blender with milk and sugar. :) It’s like soft serve ice cream! Recently, we have been getting excellent avocados too. Perhaps it’s a new breed? Good for us! I just made a batch using David Lebovitz’s recipe. @Clarissa, I will definitely try your shortcut banana ice cream! Yum! This is my favorite ice cream flavor. Nice coloured ceramic beaker there. We call those ice cream churns garapiñera which is quite different from what they call them in Spain, heladora. But our’s was cranked with Pinoy power, the strong-armed taking turns turning it. Our favorite material was buko, young coconuts, which was about the only material we seemed to always have around. And the end-product was not exactly ice cream but sorbet or granita and truly refreshing and capable of bringing on brain freeze instantly masochistically relished on very hot Philippine summer days. Yummmy! I do the short cut version, I mash avocado with Tillamook Old-Fashioned Vanilla ice cream…delish! I wonder how accessible (and expensive) liquid nitrogen or dry ice is here in the Philippines.. You can use it to make instant ice cream ala Heston Blumenthal. i love those avocados that are called evergreen. they skin is colored green and will never turn purple even if it is ripe. the have less fiber and good for salads as they are firm but creamy. My MIL has an avocado tree that bears the best avocados ever! Thick creamy sweet flesh and not a single string I love it. Best part is we are given a supply every yearand of course its free! 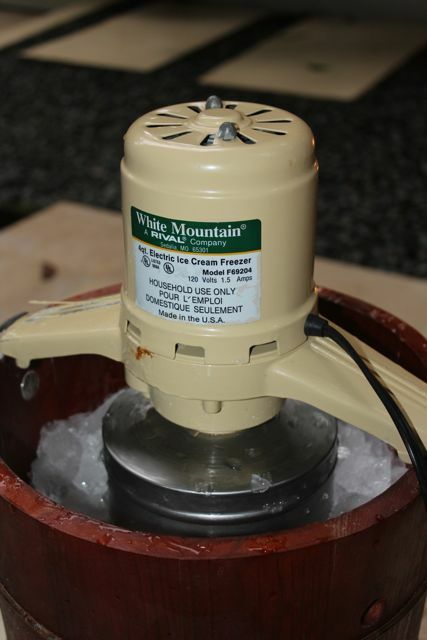 MM: would you say not to bother with the table top ice cream maker? I was just going to pack my little Cuisinart among other things in the process of my “repatriation” to the motherland. 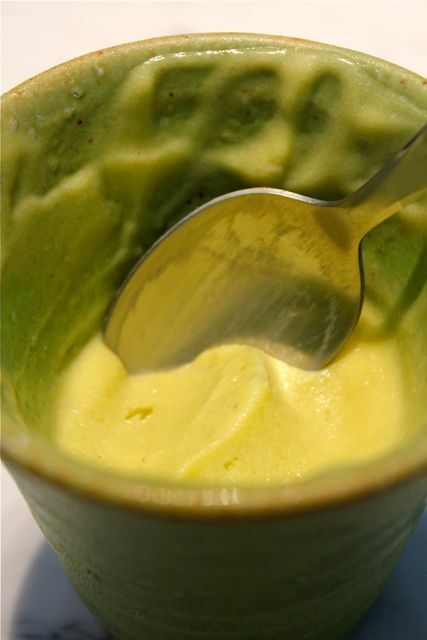 I love avocado ice cream, but not a favorite with the grandkids who are more used to avocado in salads or guacamole. But I am looking forward to all the avocados I can have this season and perhaps bumping into you in one of the weekend markets or even making a pilgrimage trip to a Zubu resto	in Cebu since our eyeball with bettyQ and silly Lolo never materialized. At the very least, I will just have a little roasted piggy air freighted again when a special occasion arises. I have one coming up with a golden jubilee college celebration mid February ’14 and my other college classmates can have a sampling of the “best pig ever”. 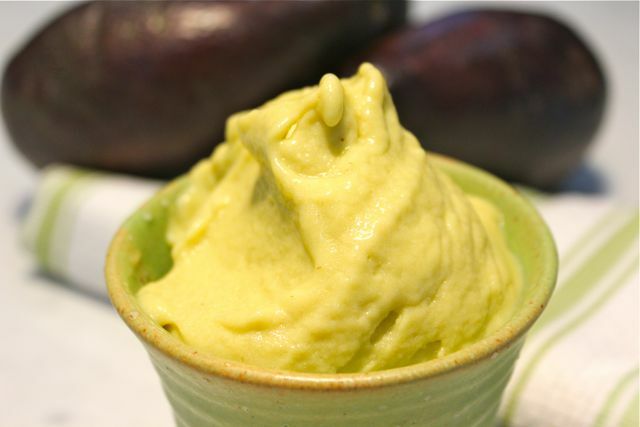 Avocado ice cream! This is my most favorite fruit! Though I don’t have an ice cream maker here, your post inspired me to make avocado pops since I have just bough a pack of Hass avocados yesterday~ The ice cream above sure looks super creamy! Just wanted to ask what you meant by milk and fat to make cream. What kind of fat did you use? Reggie, cream is distinguished by the percentage of milkfat or butterfat in it. The higher the milkfat, the richer the cream. So when I mention cream that is roughly 60% milkfat, it is very, very thick and very rich. I cut or dilute this a bit with milk so that the milkfat percentage drops to roughly 40% milkfat, which is the equivalent of say, American “heavy cream” in U.S. groceries. In the Philippines, I buy Australian thickened cream with is almost semi-solid, and hence high in milkfat or butterfat. If you get to say 80% milkfat or butterfat, that’s considered butter… On good brands of cream and milk, they should state the percentage of milkfat or butterfat in the product. we used to have that (thanks for providing the terms GARAPINERA/HELADORA, Footloose. we just called them ice-cream maker or PANG ICE-CREAM). and it was with young coconuts (sometimes with canned lychee) for sorbet/granita as well. You are fortunate having that 15 year old white mountain ice cream maker. Can see that yours got electric motor made in the USA and this will probably last a long time for enjoyment by grand kids. The same model being sold here now are made in China with inferior quality electric motor that fail after few use. Yum! And at P40 a kilo, a steal indeed. hi where do you get good avocados in Manila?? ?